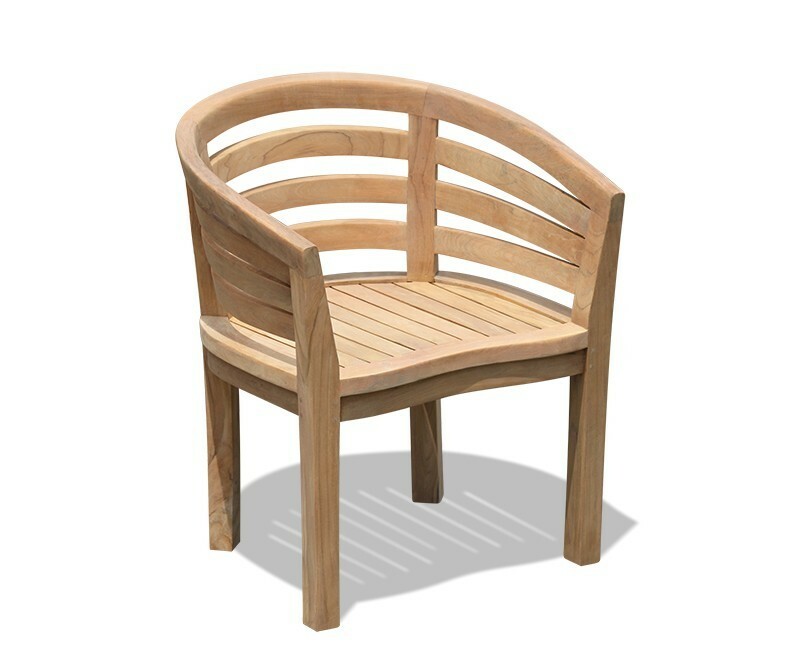 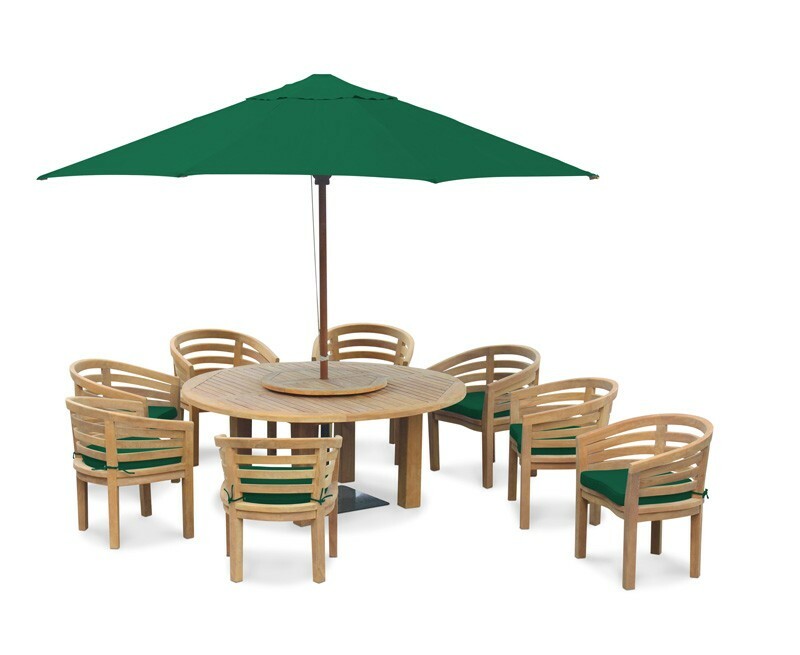 This teak 8 seater patio furniture set will create a superb focal point for outdoor settings and is ideal for alfresco dining at its best. 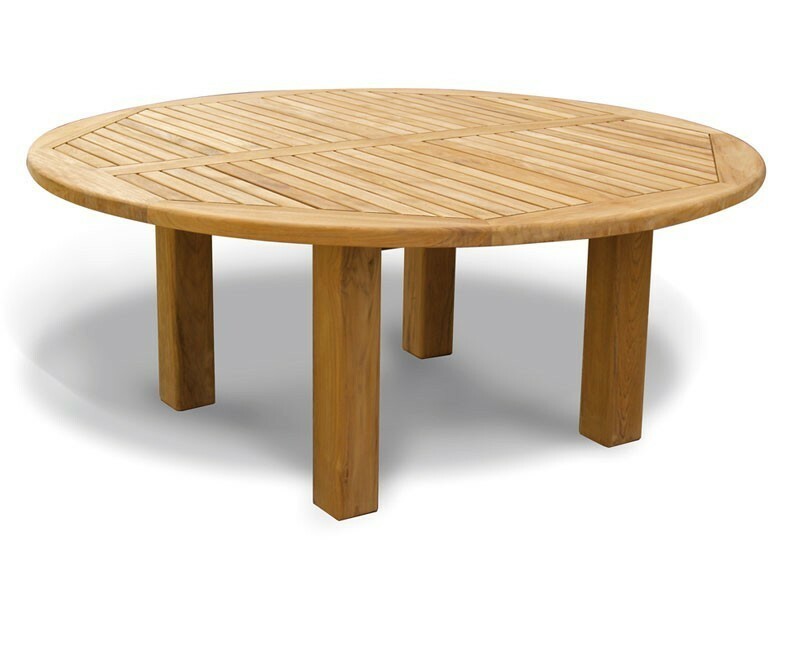 This Titan round 1.8m table with Kensington banana chairs is robustly handcrafted from sustainable grade-A teak using tight-fitting mortise and tenon joints. 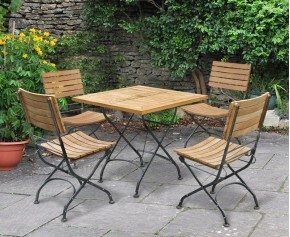 It can be left outside all year round no matter the weather and will only require occasional cleaning to keep it looking its best. 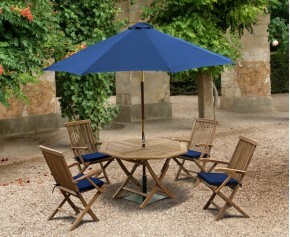 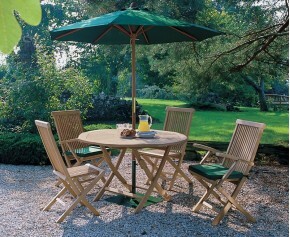 The table features a parasol hole and flush-fitting teak plug for when a parasol is not in use. 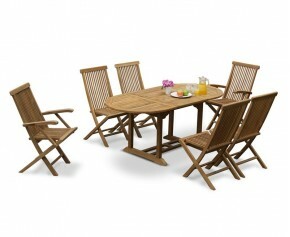 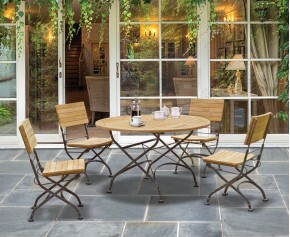 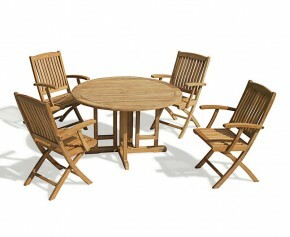 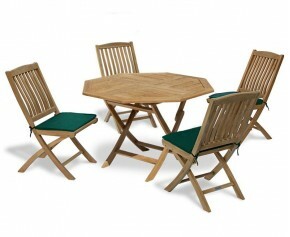 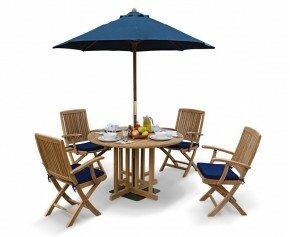 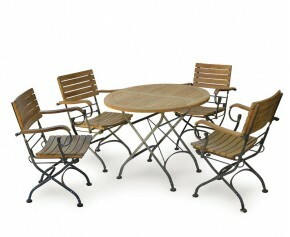 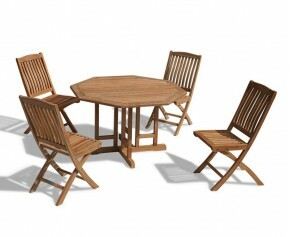 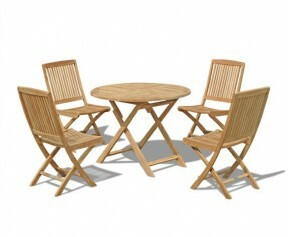 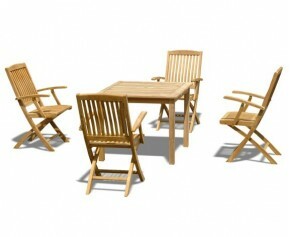 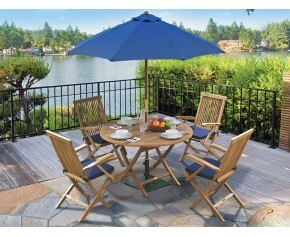 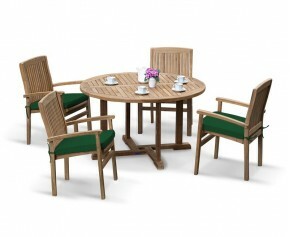 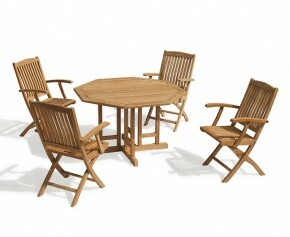 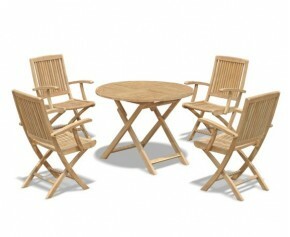 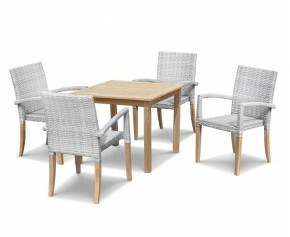 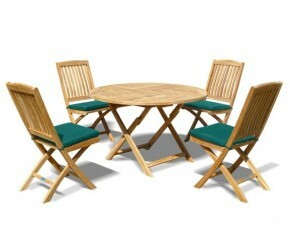 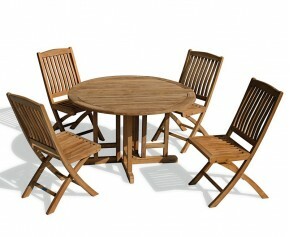 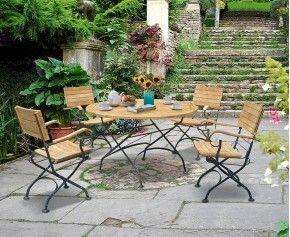 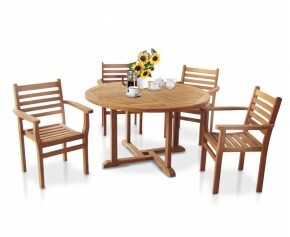 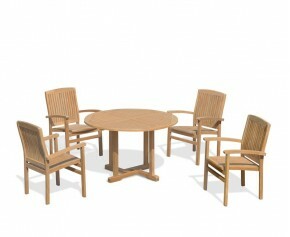 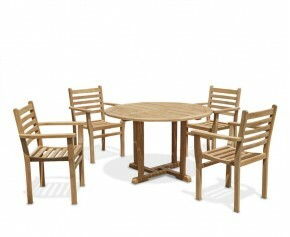 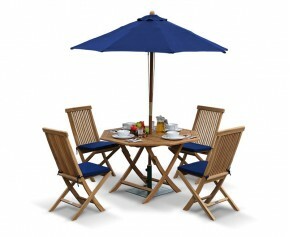 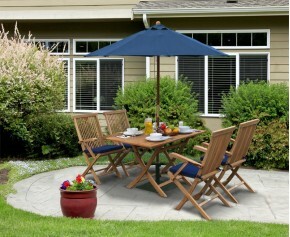 We will deliver this teak 8 seater patio set to you fully assembled for your immediate enjoyment. 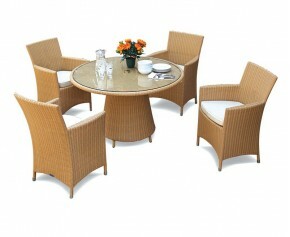 Why not accessorise this 8 seater patio set with cushions, a lazy susan and a parasol and base (not included, available separately).